ProVia has developed a competitive position by catering to a niche within the door market that demands a high degree of customization coupled with outstanding quality. Our company defines the products that meet this demand as “professionalclass.” We have found success by adhering to a set of core values that guide us as we develop rewarding, long-term relationships with our employees, customers and homeowners. ProVia is committed to making doors individually customized for homeowners to the highest standards of durability, security and energy efficiency in the residential market. A clear difference so defining that it has established a new category of professional–class doors, a better alternative to consumer-grade doors. 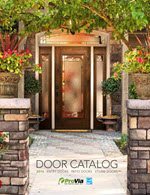 At ProVia every storm door is individually customized to the highest standards in the residential market for homeowners who appreciate impeccable, uncompromising quality. 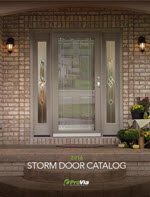 The details are the small things that set our storm doors apart from the competition. A lot of small things add up to a big difference.